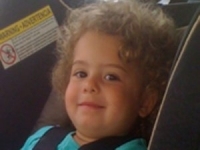 August 12, 2011 (Sacramento) The FBI seeks help to locate a 2-year-old girl missing since Sunday, along with her father. 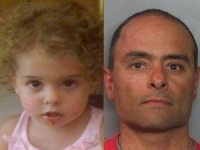 Mourad "Moni" Samaan has partial custody of his daughter, Madeline Samaan-Fay, but failed to return her to her mother's home in Sacramento over the weekend. The girl's mother recently filed court papers seeking full custody. Authorities have mounted a statewide search and believe the missing girl and her father are somewhere in California. Mourad Samaan, who is 49, is a U.S. citizen born in Egypt. He also speaks Spanish. They're asking the public to call law enforcement if they spot Samaan or his vehicle. The method menova qianweisu your physician purposes will depend upon the kind of skin mole you will have. For botanical slimming example, skin moles that are present from birth are commonly eliminated lida daidaihua with a laser. When moles are removed using cryotherapy, liquid nitrogen is placed on the skin mole to 2 day diet be able to freeze it and then it's scraped away. Your physician will need to figure out how deeply the mole has infiltrated your herbal slimming skin so he knows exactly how much to slice away.